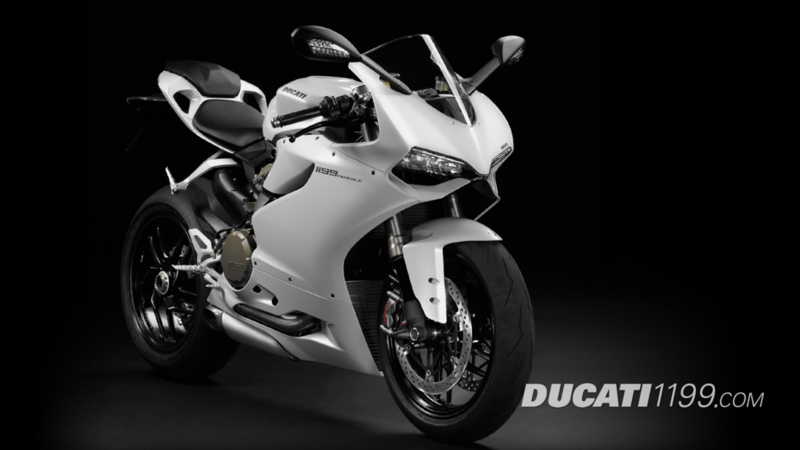 2013 Ducati 1199 Panigale showing off it's new white color! All it needs is the Matt carbon front guard though... Then it's a winner IMO . 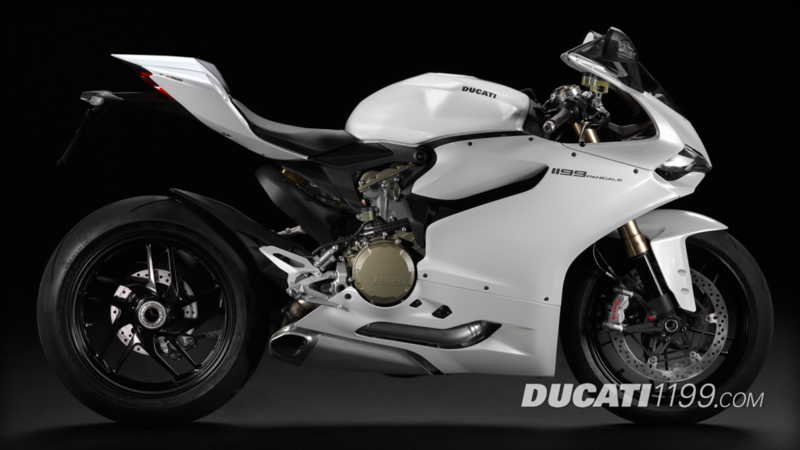 I would have liked to see it in yellow like the new SF848 or in the matte black, now thats a beautiful color :). Looks like a blank canvas to me! I try to be nice, I really do, but I just don't get the white, I can't stand it really. White. Really? Really? 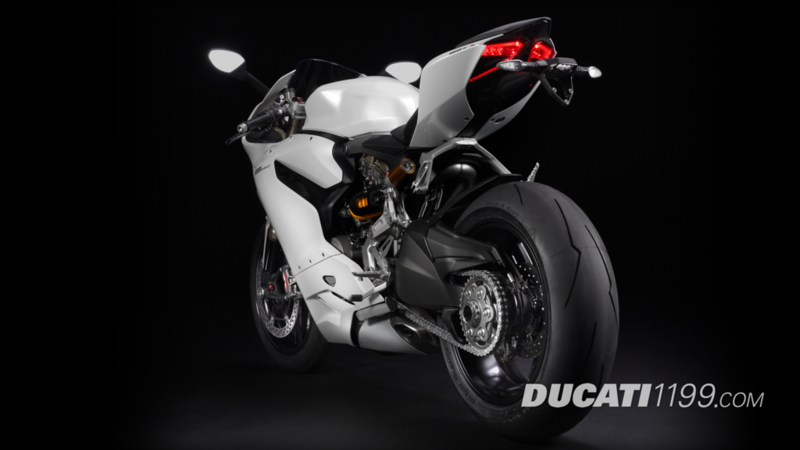 Ducati would have sold more, and made more people lust, if they had used YELLOW fairings with a BLACK swing arm and whatever other plastic is there should be accented with Black. I love the YELLOW and BLACK of the insect world like wasps, hornets and bees. Danger! Watch out! RED is another great emotional color and needs no explanation. 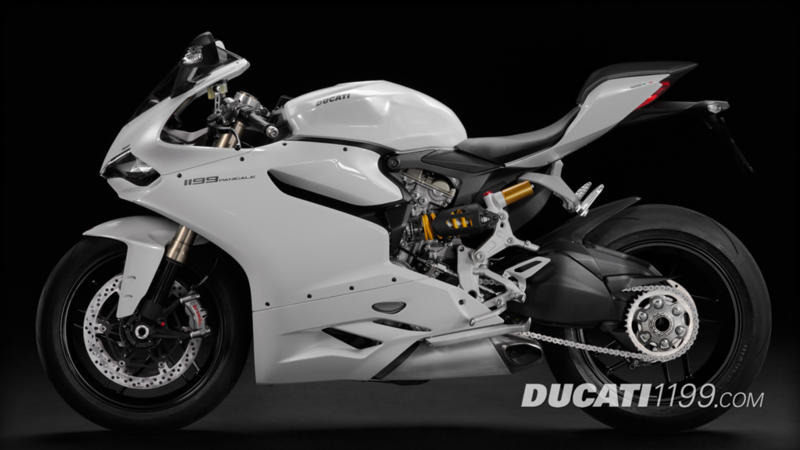 White is for service vehicles/trucks, projects no excitement and stands for normalcy. White is NOT about hot, Italian bikes. Maybe in Italy white is something special but, in North America it's a yawner. At best, I'll say they provided an optional choice.